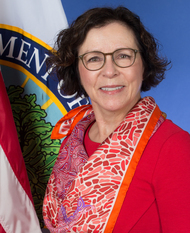 The Office of Special Education and Rehabilitative Services (OSERS) at the United States Department of Education (ED) announced on Oct. 11, 2018 the appointment of Laurie VanderPloeg as the new director of the Office of Special Education Programs (OSEP). Laurie brings more than three decades of direct experience and will step into her new role at the beginning of November. 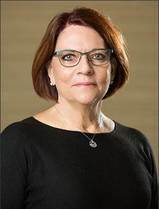 We are excited for the possibilities as Laurie leads OSEP forward in our commitment to raise expectations and improve outcomes for infants, toddlers, children, and youth with disabilities and their families across the country. You've read the Top News and know that we will have a new OSEP director next month. This is an exciting time for us. We look forward to working with Laurie to raise expectations and improve outcomes for children with disabilities under the Individuals with Disabilities Education Act (IDEA). As I wrap up my time as the OSEP acting director and return to my OSEP deputy director position, I've been focused on rolling out Assistant Secretary Johnny Collett's “rethink special education” framework. I'm also engaged in supporting states as they implement the requirements in ESSA for the participation of students with the most significant cognitive disabilities in alternate assessments aligned with alternate academic achievement standards (AA-AAAS). I recently joined Assistant Secretary Collett in meetings with the state directors of special education and state Part C coordinators to brainstorm their ideas for rethinking special education. I appreciated everyone's efforts to think outside of the box and evaluate our established practices. In November, we will continue to gather input from our stakeholders. A group from ED representing OSEP and the Office of Elementary and Secondary Education traveled to Boston in October to provide technical assistance on meeting the statutory and regulatory requirements of the AA-AAAS, or 1 percent assessment. It was an engaging and fruitful discussion and I’m encouraged as states continue implementing these requirements to ensure that students with the most significant cognitive disabilities are meaningfully included in assessments, as well as in instruction. This is my last "Ruth's Report," and I'd like to close by extending my gratitude to each of you for all that you do for infants, toddlers, children, and youth with disabilities and their families. It's been a pleasure working with and learning from you in this role, and I look forward to our continued journey with Laurie taking the lead! I will move back to my position of record as OSEP's deputy director and will continue to move forward OSERS important work. OSEP's Monitoring and State Improvement Planning division conducts many state-focused activities under the umbrella of RDA. You can read more about this innovative initiative to target educational results for children and youth with disabilities and their families here. On Sept. 28, 2018, the president signed the Department of Defense and Labor, Health and Human Services, and Education Appropriations Act, 2019 (Public Law 115-245), which provides funding for the Department of Education through Sept. 30, 2019. In FFY 19, there will be an increase in funding ($86.5 million) for Part B (611) and a slight increase ($10 million) for Preschool Special Education Programs (619). While funding for Part C programs remains at the 2018 appropriation level ($470,000), the funding amount triggers, as it did for FFY 18, the requirement that the secretary reserve funds to provide incentive grants to states that elect to offer Part C services beyond age 3 under IDEA sections 632(5)(B)(ii) and 635(c). OSEP will provide more details about the Extended Individualized Family Service Plan Option incentive grants on its November OSEP national technical assistance call. OSEP state leads completed their calls with states that expressed an interest in receiving feedback on their Phase III, Year 2 State Systemic Improvement Plans (SSIPs) Feedback focused on strengths of the state’s SSIP and areas where OSEP asked for additional clarification. In this month’s national technical assistance call on Oct. 11, 2018, OSEP provided a walk-through of the GRADS360° SPP/APR module to highlight new features. The call also introduced participants to the new Part C coordinators site, “Welcome to the World of IDEA Part C,” hosted on the OSEP Collaboration Spaces website. This resource is available by clicking on the this link. OSEP issued the 2018–19 Differentiated Monitoring and Support (DMS) notices to Part B directors and Part C coordinators the week of Oct. 22. The notices included a narrative that explains the DMS process, the level of engagement in each of the four areas, and the major factors that led to a targeted or intensive level of engagement. On Oct. 9, 2018, ED informed state Title I, Title III, and assessment directors about ED's 2018–20 school year peer review process. 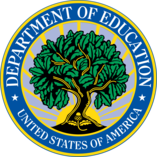 The announcement included a link to the updated State’s Guide to the U.S. Department of Education’s Assessment Peer Review Process, information on which assessments must be submitted for peer review, and the review process timeline. Additionally, the announcement issued a call for peer reviewers. Prior to applying, refer to the checklist of qualifications to determine if you meet the basic requirements of a peer reviewer. If you are interested in serving as a peer reviewer, please submit a curriculum vitae or resume and a completed checklist of qualifications and conflict of interest form to Donald Peasley at Donald.Peasley@ed.gov with the subject line: “Assessment Peer Review” by Friday, Nov. 2, 2018. We invite and encourage you to share this call for reviewers with individuals who may be interested and qualified. If you have any questions, please feel free to contact Donald Peasley or Deborah Spitz (Deborah.Spitz@ed.gov). Thank you for your interest in helping ED with this important activity. OSEP recently announced its Part D Investments, both grants being recompeted and new investments. National Technical Assistance Center on Positive Behavioral Interventions and Supports was awarded to the University of Oregon. This center is currently known as PBIS. National Technical Assistance and Dissemination Center for Children who are Deaf-Blind was awarded to the Hellen Keller National Center. Center on Dispute Resolution was awarded to Direction Service. This center is currently known as CADRE. Center for Parent Information and Resources was awarded to the Statewide Parent Advocacy Network of New Jersey, Inc. This center is currently known as CPIR. The Center on Early Science, Technology, Engineering, and Math (STEM) Learning for Young Children with Disabilities was funded to ensure that young children with disabilities can engage in and benefit from STEM learning. The Center will assemble a body of knowledge on the practices and supports, including information on the use of technology, necessary to improve STEM learning for young children with disabilities. The center will disseminate information about these practices and supports to early childhood programs and providers, administrators, families of children with disabilities, and institutions of higher education. The recipient of the award is the Frank Porter Graham Child Development Institute at the University of North Carolina, Chapel Hill. It will work on the center in partnership with the University of Denver. Take a look at our previous Voices from the Field, which highlights the importance of teaching math to young children. Six new projects were funded at San Diego State University, University of Colorado Denver, University of Connecticut Health Center, University of North Carolina at Chapel Hill, University of Toledo, and University of Washington, Seattle under the Associate Degree Preservice Program Improvement Grants to Support Personnel Working with Young Children with Disabilities. The new grantees will partner with local community colleges to enhance the quality of existing associate degree programs so that associate degree-level personnel are well prepared to work with young children with disabilities in inclusive programs. Ten new early childhood projects were funded at California State University, Los Angeles; San Diego State University; San Francisco State University; University of Florida; University of Illinois; University of North Carolina at Chapel Hill; University of Oregon; University of Vermont; University of Washington, Seattle; and Washington University in St. Louis under the Interdisciplinary Preparation in Special Education, Early Intervention, and Related Services for Personnel Serving Children with Disabilities who have High-Intensity Needs. These projects prepare personnel in early intervention, special education, and related services at the master’s degree, educational specialist degree, or clinical doctoral-degree level. You can view all of OSEP's Part D investments using the Discretionary Grants Database. The Daily Report Card (DRC) is an intervention with evidence for increasing desirable on-task behavior and reducing disruptive behavior of students with Attention Deficit Hyperactivity Disorder (ADHD). The DRC lists a student’s target behaviors and includes criteria for reaching each behavior goal. Using this intervention, teachers provide immediate feedback to the child, and a reward is provided depending on the child’s performance. The DRC may also include home-school communication, allowing teachers and parents to work together to improve a student’s behavior. A recent meta-analysis by Kellina Pyle and Gregory Fabiano (2017) provides further evidence that the DRC improves behavior outcomes of students with ADHD. The study also suggests that different genders and age groups will benefit equally from the DRC intervention. Fabiano, a principal investigator of DRCs, recently presented on using the DRC as a progress monitoring and intervention tool for individualized education programs (IEPs) of students with ADHD at OSEP's symposium on Effective Strategies to Enhance High-Quality Implementation of IEPs. You can listen to the presentation at this link. The 2019 OSEP Leadership Conference is scheduled for July 22–24, 2019, at the Crystal Gateway Marriott hotel in Arlington, Virginia. More information, such as who this conference is intended for and what was discussed in previous years, can be found on our website.